Laryngitis. Symptoms of the disease in adults and children. Treatment of laryngitis by inhalation. Laryngitis is an inflammation of throat mucosa. 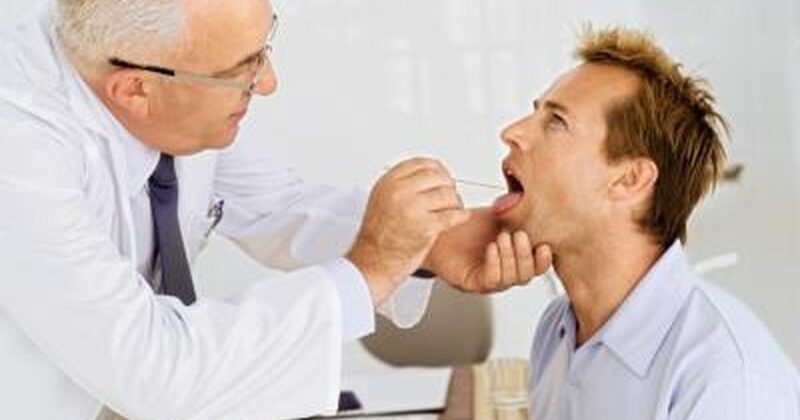 Characteristic symptoms of laryngitis include woolly voice, and barking cough. In some cases, a patient loses the ability to speak. What can cause the disease? In children, laryngitis is caused predominantly by a respiratory viral infection penetrating to the body. Rarely, intake of too cold or too hot food may provoke impairment of throat mucosa and result in the disease. Eventually, laryngitis may appear in children due to psychic shock. In addition, throat mucosa inflammation may occur as a reaction to an allergen (allergic inflammation). In adults, the disease may be caused both by viral infections and routine vocal cord overload (as an occupational disease in tutors, TV and radio presenters, vocalists), and smoking. A child’s body is highly susceptible to acute respiratory viral infections due to the fact that child’s immunity is still not perfect. In children, laryngitis makes progress rapidly; even in the earliest days of the disease voice becomes woolly, occur superficial cough and difficult breathing. A child gets moody, does not eat much, complaints of sore throat, experiences sleeping difficulties. Closer to the morning hours the child wakes up often due to annoying barking cough. In children below 4 years of age, laryngitis may be accompanied by croup phenomenon. Croup in children is the throat stenosis (constriction) caused by an inflammatory process or an allergic reaction. Croup is the constriction of throat lumen that results in breathing difficulties and dyspnea attacks. Most often, the syndrome onset is sudden and it occurs at nighttime, when a body is being attacked by a respiratory infection against fever background. Crop is most commonly reported during the first three days upon the disease onset. Voice gets woolly or lost; there are severe speaking difficulties and fatigue. Patient is experiencing itchy and dry throat, feeling a foreign body in his throat. During first days of the disease, cough is superficial and annoying. As the disease develops, it becomes productive and wet. In case of the appropriate therapy, laryngitis in children and adults clears up after 1 to 2 weeks. The patients with established laryngitis diagnosis should be treated by antiseptics and anti-inflammatory agents administered by throat application. The main therapy aims to combat the disease source which is a viral infection or a bacterial infection. If a nebulizer is available, a physician will recommend inhalations for laryngitis treatment. Also, the АКК® may be recommended as an anti-viral medicine (inhalation frequency is up to 8 times daily, treatment duration is 4 to 7 days). When clinical identification of a causative agent (either viral or bacterial) is not possible, a physician may recommend the Decasan® nebulas, the broad-spectrum medicine that sanitizes a body and eliminates both bacteria and viruses. In the event of croup, a physician may recommend to use antihistamine agents and glucocorticoid hormones. Preventive measures in children include cold resistance development, food adjusted to a comfort temperature, proper nutrition. For adults, it is important to relinquish bad habits (smoking, alcohol abuse) and avoid a vocal cords overload.